The Motorola Moto G5 Plus was launched in April 2017, and was dubbed as the photographer’s friend due to its exceptional camera and outstanding focus. The Moto G line of phones was kickstarted in 2014 with its entire market base online. 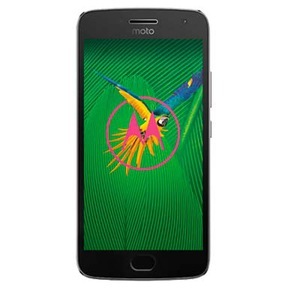 Despite no physical presence, the Moto G has always attracted as many customers are premium phones and this is probably due to its reasonable price. The Motorola Moto G5 Plus is the first mobile in the Motorola Moto-G series to have a metal body. Despite the wide array of features, Motorola has managed to keep its price similar to its competitors. With the Moto G5 Plus, this series of phones has finally upgraded from its plastic body-cover to a fine aluminium finish. The sturdy screen has a fingerprint sensor that instantly unlocks your mobile, however it is worth noting that the screen size has reduced to 5.2 inches. This mobile packs a 2GHz octa core snapdragon and supports TurboPower charging which means that the charge in Moto G5 Plus should last you the whole day. As the first mobile phone in its price bracket to run Android 7.0 Nougat, it had quite a few slick features, such as the notification preview. Cashify promises to get you the best value for your old phone within a matter of minutes. Cashify has partnered with India’s biggest smartphone makers to make this happen. 1. Our automatically generated, transparent pricing model is the best in the market. All the portal does is ask you certain questions about your used Motorola Moto G5 Plus’s condition, variant and the warranty period. 2. Based on your inputs, we offer you a fair price, complete with a doorstep pickup so you that you can easily sell your old mobile online while sitting at home. 3. Cashify will provide you the money for your Moto G5 Plus right at your doorstep - in a payment method of your choice- cash, bank transfers, or e-wallets. Cashify’s agents will deliver the resale cash right at your doorstep for your second hand Moto G5 Plus, without you having to step out of the comfort of your home. Cashify is the most trusted platform in India to sell mobile online (and other gadgets too!) for instant cash on pickup. Schedule a pickup now!